Illegally download copyright music from the Internet once, or even twice, and you get a warning. Do it a third time, and your computer gets destroyed. That's the suggestion made by the chairman of the Senate Judiciary Committee at a Tuesday hearing on copyright abuse, reflecting a growing frustration in Congress over failure of the technology and entertainment industries to protect copyrights in a digital age. The surprise statement by Sen. Orrin Hatch, R-Utah, that he favors developing technology to remotely destroy computers used for illegal downloads represents a dramatic escalation in the increasingly contentious rhetoric over pirated music. During a discussion of methods to frustrate computer users who illegally exchange music and movie files over the Internet, Hatch asked technology executives about ways to damage computers involved in such file trading. Legal experts have said any such attack would violate federal anti-hacking laws. "No one is interested in destroying anyone's computer," replied Randy Saaf of MediaDefender Inc., a secretive Los Angeles company that builds technology to deliberately download pirated material very slowly so other users can't. The senator, a composer who earned $18,000 last year in song-writing royalties, acknowledged Congress would have to enact an exemption for copyright owners from liability for damaging computers. He endorsed technology that would twice warn a computer user about illegal online behavior, "then destroy their computer." "If we can find some way to do this without destroying their machines, we'd be interested in hearing about that," Hatch said. "If that's the only way, then I'm all for destroying their machines. If you have a few hundred thousand of those, I think people would realize" the seriousness of their actions. Some legal experts suggested Hatch's provocative remarks were more likely intended to compel technology and music executives to work faster toward ways to protect copyrights online than to signal forthcoming legislation. "It's just the frustration of those who are looking at enforcing laws that are proving very hard to enforce," said Orin Kerr, a George Washington University law professor and former Justice Department cybercrimes prosecutor. Sen. Patrick Leahy of Vermont, the committee's senior Democrat, later said the problem is serious but called Hatch's suggestion too drastic. "The rights of copyright holders need to be protected, but some Draconian remedies that have been suggested would create more problems than they would solve," Leahy said in a statement. "We need to work together to find the right answers, and this is not one of them." Rep. Rick Boucher, D-Va., urged Hatch to reconsider. Because Hatch is Judiciary chairman, "we all take those views very seriously," he said. But Kerr said Congress was unlikely to approve any bill to enable such remote computer destruction by copyright owners "because innocent users might be wrongly targeted." A spokesman for the Recording Industry Association of America, Jonathan Lamy, said Hatch was "apparently making a metaphorical point that if peer-to-peer networks don't take reasonable steps to prevent massive copyright infringement on the systems they create, Congress may be forced to consider stronger measures." 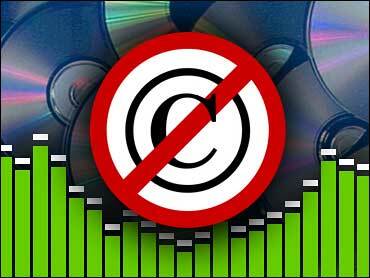 The RIAA represents the major music labels. The entertainment industry has gradually escalated its fight against Internet file-traders, targeting the most egregious pirates with civil lawsuits. The RIAA recently won a federal court decision making it significantly easier to identify and track consumers — even those hiding behind aliases — using popular Internet file-sharing software. In May, it was reported that some of the world's biggest record companies are quietly financing the development and testing of software that would sabotage the computers and Internet connections of people who download pirated music. According to the published report, the record companies are exploring options on new countermeasures, which some experts say have varying degrees of legality, to deter online theft: from attacking personal Internet connections in order to slow or halt downloads of pirated music to overwhelming the distribution networks with potentially malicious programs that masquerade as music files.